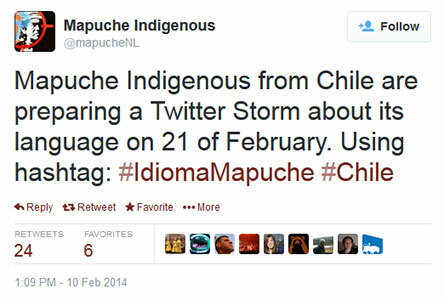 Why Mapuche Indigenous make a call to a Twitter Storm? We speak our language for more than 200 years, long before any European (white man) set foot on our land. Still, today the Mapuche People are not recognize as a Nation by the Chilean state, nor our language is official. On this day we will tweet on our mother tongue to make clear that we are still alive.